Budget Blinds of Chicago, LaGrange, Frankfort, & Crown Point offers complimentary in-home consultations with our design experts, allowing you to envision the look of the treatments in your home. This beats running from store to store or taking your chances online! We’ll measure your windows, do the ordering, inspect your window coverings on delivery, install them perfectly and empower you with our "No Questions Asked Warranty"! Our selection of window treatments includes shutters, blinds, shades, and draperies! Regardless of the window’s size or shape, you can rest assured that we will have a customized window coverings solution ready for you. Let’s get started planning your new custom window coverings today! Call (708) 444-1737! *Hunter Douglas Authorized Dealer* We have a professional staff and positive individuals to help you with your window treatments. We go the extra distance in helping our clients select products that fit their needs, budget, and home decor. We are highly-trained experts in installation and have extensive product knowledge. 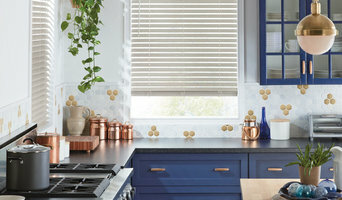 We carry a wide selection of window treatments, including Hunter Douglas. Our showroom provides displays of featured Hunter Douglas products. We have a storefront and shop-at-home vans to come directly to the home for your convenience. We can help you with the right selection of window treatments that fit your windows and meet your lifestyle. Our vans are equipped with all the samples necessary, and we help with colors and design. Your life is our inspiration when create your couture window fashions. We are dedicated to creating innovative and unique custom window treatments- from blinds, shades, drapes and curtains, drapery hardware and soft home accessories -defined by exquisite dressmaker details and modern silhouettes. We're celebrating two decades of designing couture soft furnishings for discerning clients. WD Couture| offers to-the-trade design services. WD Pret | offers limited edition collections of readymade window fashions WD Prive | offers exclusive online window fashion design consultation I am a nationally known window fashions designer whose specialty is finding creative solutions to challenging design problems. I have combined my twin passions-design and windows- when I founded Window Dressings and I have built a reputation for cutting edge couture treatments and sift furnishings. I practice real life decorating with a focus on bespoke soft furnishings. I pride myself on not having a pigeonholed or formatted style. I try to make design choices based on my philosophy that a great room needs great window fashions and soft furnishings and it doesn't have to mean sacrificing style, quality or effectiveness. 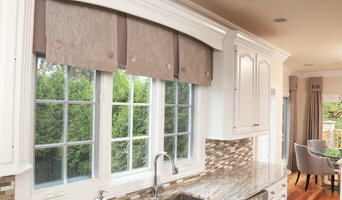 Curtain Couture is unparalleled when it comes to providing unique window treatment solutions for Chicago residences, from the South Side to the North and West neighborhoods. 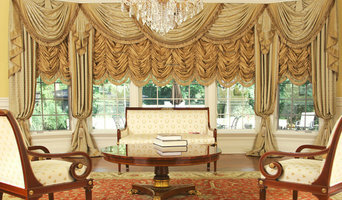 We specialize in stylish and gorgeous window treatments. We'll handle all the details so you can maximize the time and energy spent in the decision-making process. We strive for perfection from start to finish so that you will be confident that you've made the right decision in choosing Curtains Couture. We have over 30 years of combined experience and thousands of happy customers who attest to our expertise. Give us a call or walk in to our store so we can start discussing ideas and working out the best solution for your home needs.